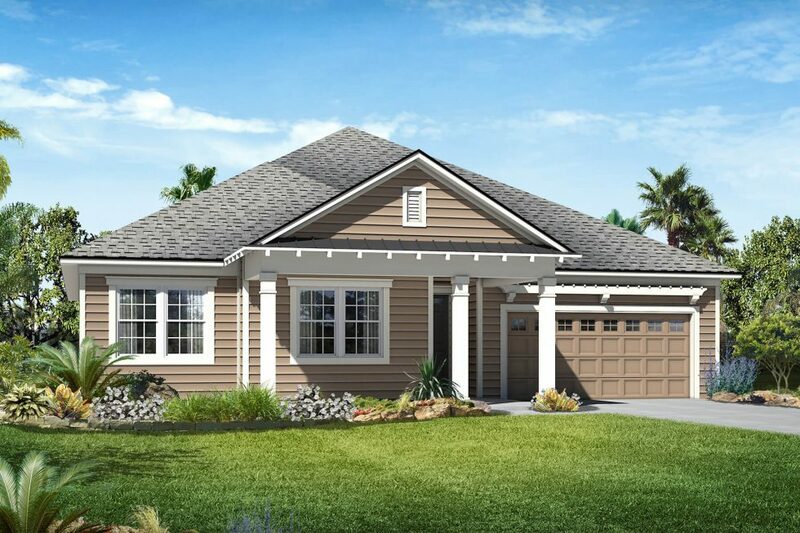 Richmond American Homes is bringing their inspired floorplans and traditional ranch style homes to Shearwater, Freehold Communities’ new master-planned community in St. Johns County. One of the fine home builders chosen to make the Shearwater vision a reality, Richmond American Homes is providing plenty of options to bring your dream home to life with the Dalton floorplan. The Dalton is a ranch-style floorplan with three bedrooms, three and a half bathrooms, spacious great room, covered entry and an upstairs bonus room with full bath. At approximately 2,861 square feet, with the option of a two or three car garage, this home has plenty of space for friends and family alike. Prices start in the low-$300,000s. The shining star of the Dalton is the spacious open kitchen, complete with gourmet features. With granite countertops, stainless steel appliances and a double oven, you’ll feel like a high-class chef, whether you’re making a simple family breakfast or hosting Thanksgiving with your neighbors. The formal dining room provides plenty of space for big family dinners, but can also be optioned into a study with built-in bookshelves or a spare bedroom, providing flexibility for your family’s lifestyle. The Dalton is just one of many floorplans offered by Richmond American Homes at Shearwater. Ranging in size from 2,250 to 3,150 square feet with three to five bedrooms and two and a half to four bathrooms, there’s something for every family at Shearwater. Richmond American Homes is offering one and two story homes on 60-foot homesites starting in the low $300,000s. If you’d like more information on the Dalton floorplan, or any of the new floorplans being offered by Richmond American Homes at Shearwater, come tour the models and see everything they have to offer. You can also watch a video that showcases the Dalton floorplan. Richmond American Homes’ models are open Monday from noon-6:00 pm, Tuesday-Friday from 10:00 am-6:00 pm, and Sunday from 11:00 am-6:00 pm. The other home builders at Shearwater include David Weekley Homes, Lennar, Mastercraft Builder Group, D.S. Ware Homes and Drees Homes.